Photo cross linkers are a helpful tool for the investigation of peptide-protein interactions. Irradiation by UV-light creates a stable covalent bond between the interaction partners, which facilitates conclusions regarding the mode of interaction. 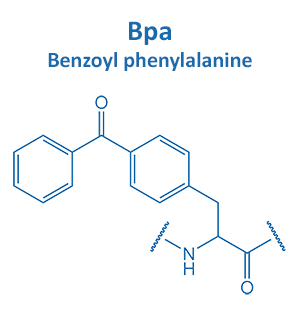 Benzoyl-phenylalanine (Bpa) can be incorporated as a building block at any position of the peptide. 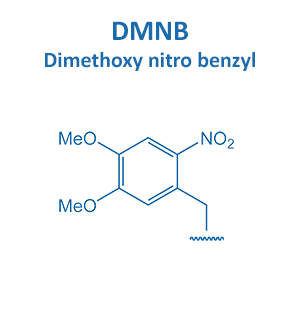 DMNB can be attached to any amino or mercapto group of the peptide.